Over the Horizon Photography features Paul Berger's Nantucket Landscape photography. Paul uses medium format camera and film to create beautiful prints like this one of roadside art on Hummock Pond Road in Nantucket. 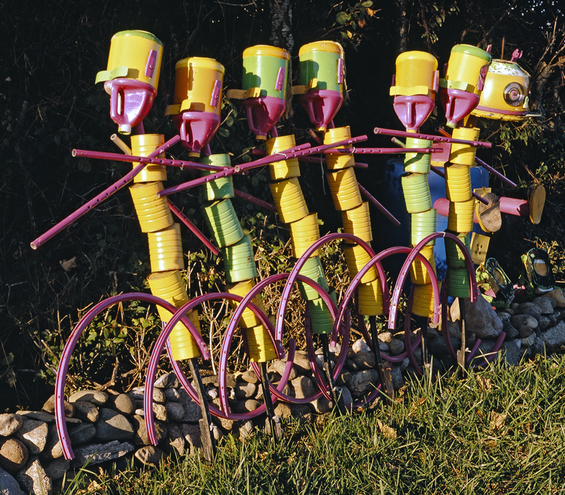 A whimsical display of road side art on Hummock Pond Road just before Barlett's Farm Road. Taken late in the day with my Pentax 6 x 7 using Fuji Provia film.